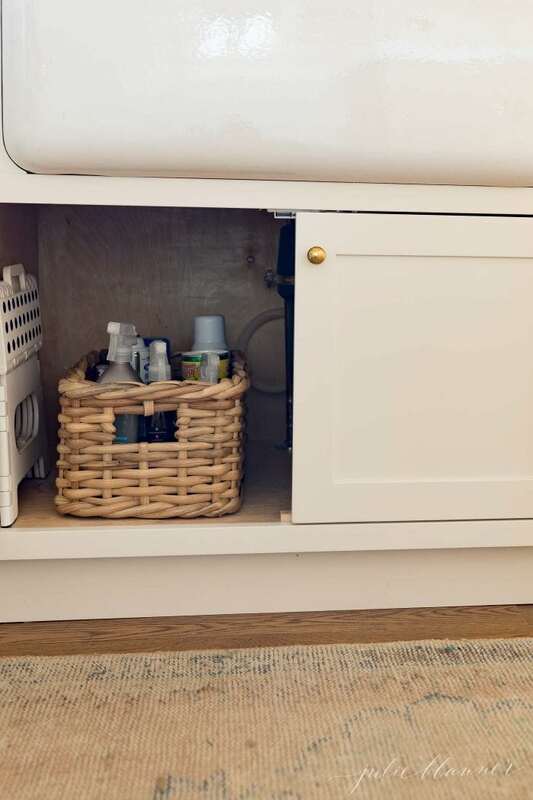 Get organized and add under sink storage systems that actually work! 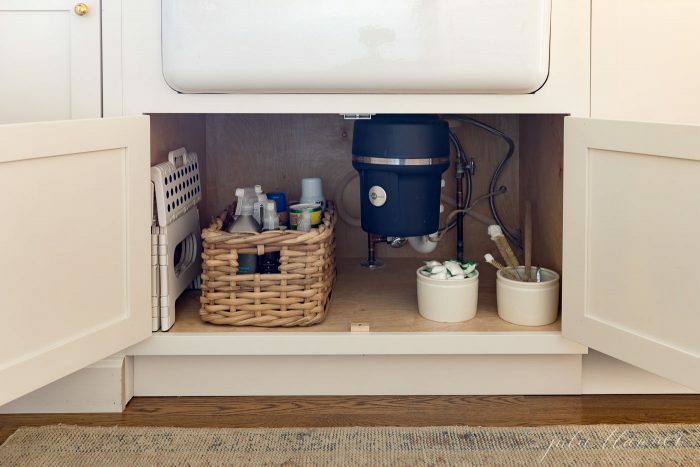 Get tips to organize the under sink cabinet. I’ve been doing a lot of kitchen organizing. So far I’ve share our Kitchen Pantry, Refrigerator Organization and I still have so much more to come. 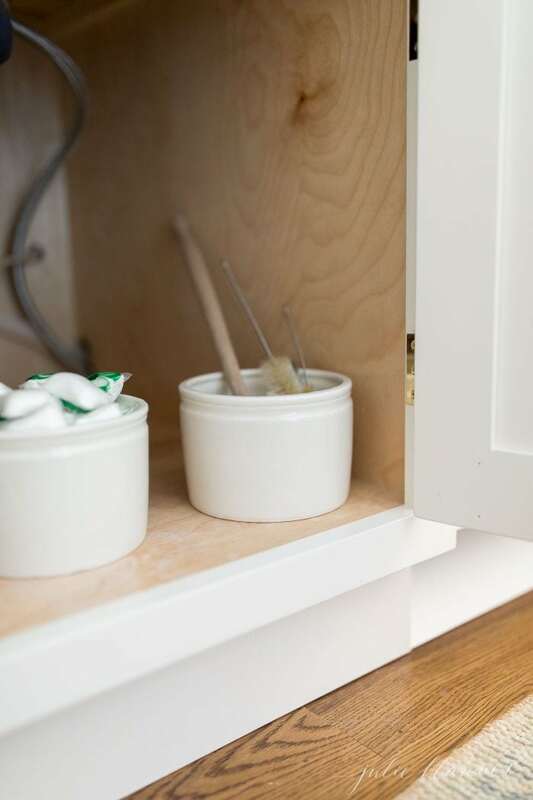 Whether you’re organizing an existing under sink cabinet or a new one, it’s one of the greatest home improvement projects you can do to add utility to your kitchen, without a DIY! This photo left me asking myself “did I do that?” It’s painful to look at, let alone to find anything! Organizing under the kitchen sink can be a challenge – especially if you have a large garbage disposal and pipes in the way. 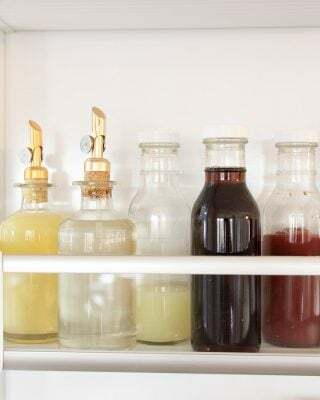 Ours boasts cleaning supplies, dishwashing tools and detergents and prior to organizing it, a few things that didn’t belong. You can maximize your storage space with these easy tips. 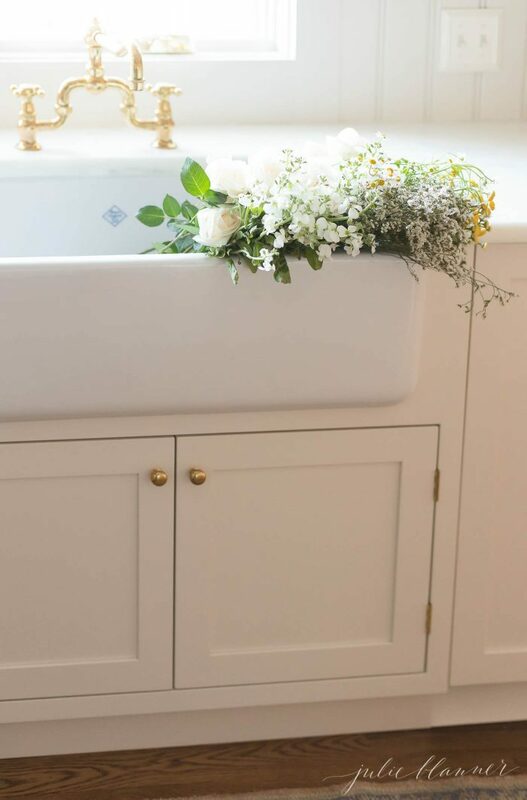 Design under sink storage to fit your space and needs by using various vessels like baskets and crocks. 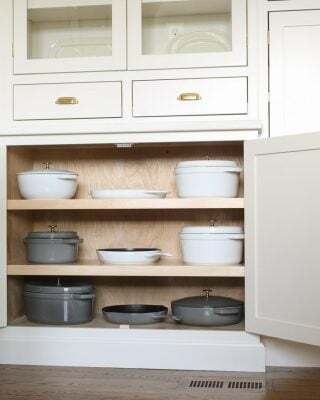 An under kitchen sink organizer is not a one size fits all. It’s an odd shaped space and therefore there is not a once size fits all solution. Utilize these tips and resources to get yours organized. 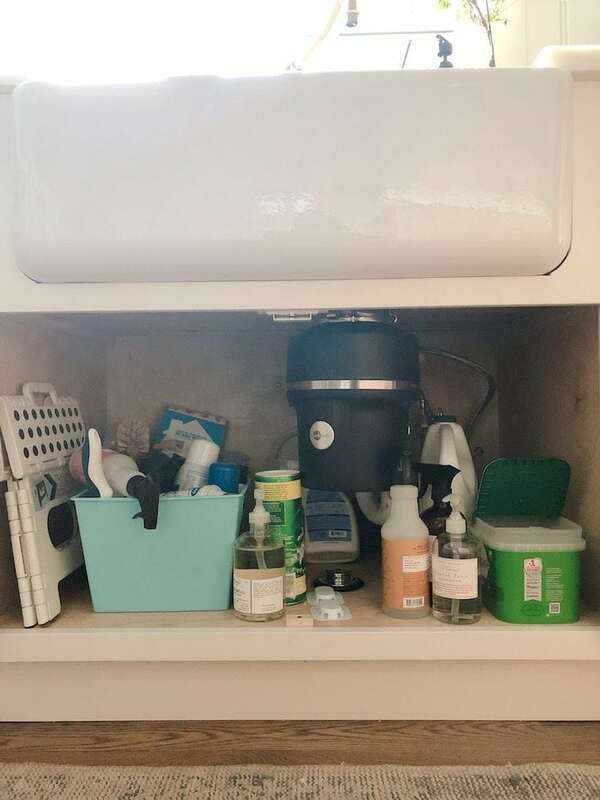 Removing everything from your under sink cabinet allows you to assess what you have, what you need and where it belongs. 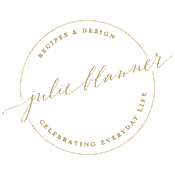 Eliminate duplicates and misplaced items. It’s a great opportunity to wipe it down and start fresh. If your cabinet is dark, consider giving it a fresh coat of white paint. It helps you see what lies beneath. Make the most of a cabinet door by using 3M hooks like we did here. Install a sink shelf, if needed. If you have the space a tier expandable shelf organizer is a great option for making a tiny space function. 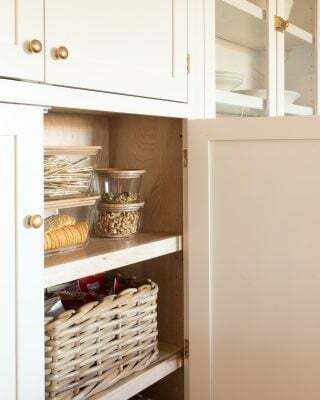 Utilize a storage basket. It’s easy to pull out and keeps everything in place and standing upright. If you tote it around the house, consider a metal caddy with a handle. Keep frequently used items above the kitchen sink. 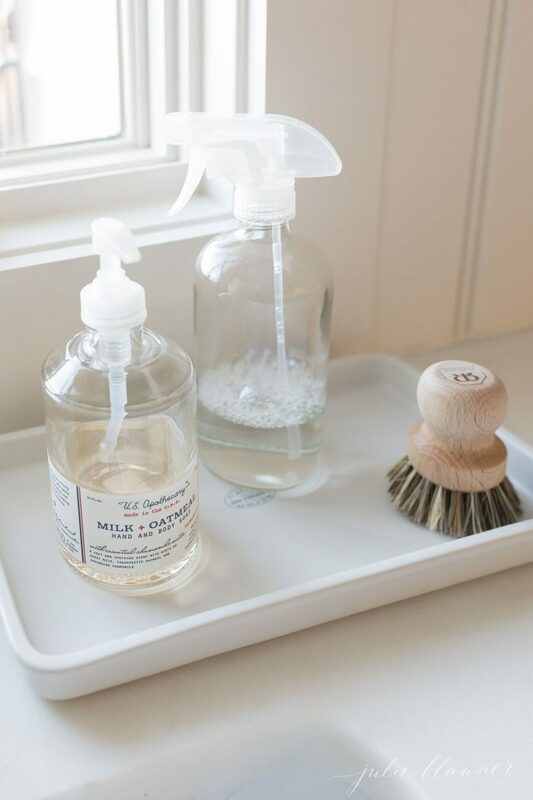 I keep dish soap (that doubles as hand soap) a dish scrubber and my cleaning spray on a tray next to the sink. 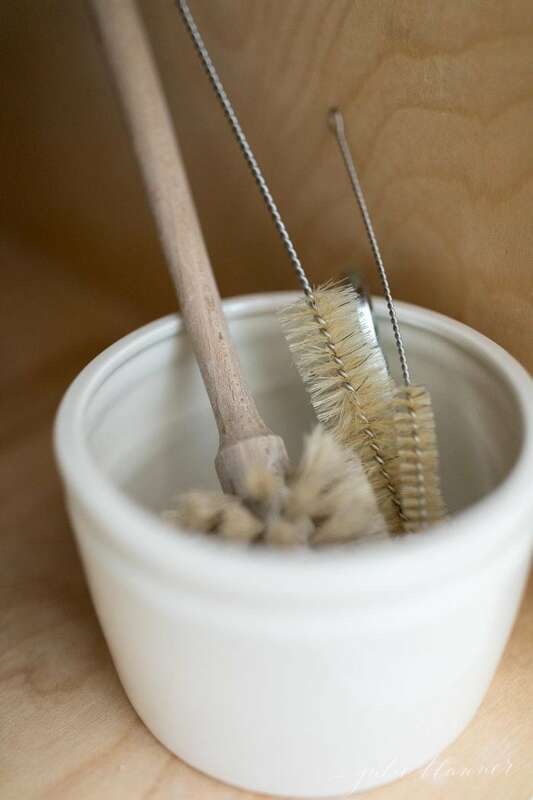 Keep dish cleaning tools together. Slim picks like this folding step stool add convenience without consuming space. 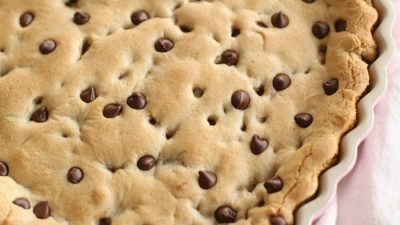 Look to things you already have when you begin your organization project. After all, the goal is to minimize and organize, not create excess. Repurpose caddies and baskets. 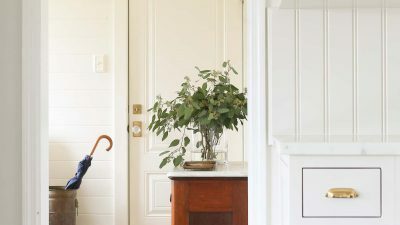 Consider using extra vases, crocks, canisters or flower pots. The options are endless! 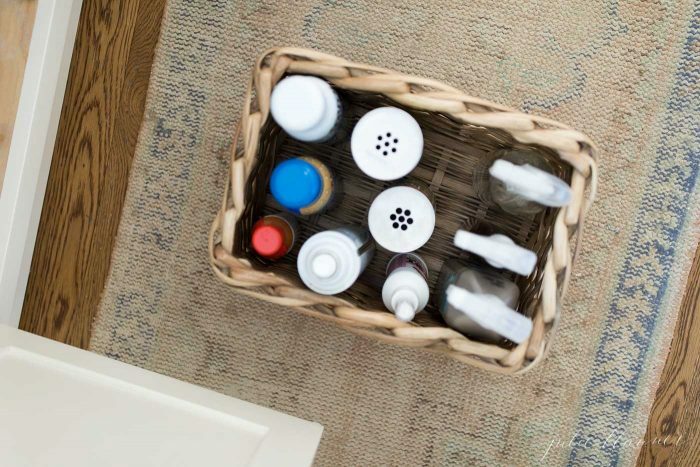 Using everyday items also make your under sink storage space pretty – which just may make doing chores a little more fun. 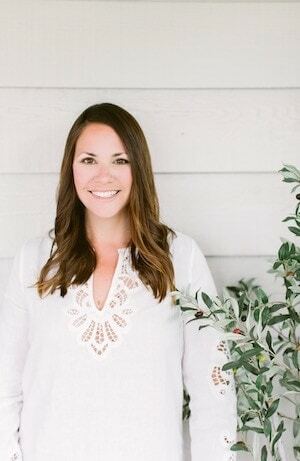 Should you want or need to shop, you can find all of my favorite organization and cleaning supplies on Amazon and in my shop!